A 5000 years old tradition survives in 30 villages around Dhamrai and can be traced back to the Pala Dynasty (800-1100 AD), during which time both early Buddhist and Hindu settlements once flourished. 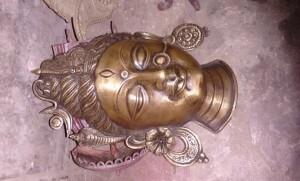 It is also known as a ‘Workshop of Metal Arts and Crafts in Dhamrai’. 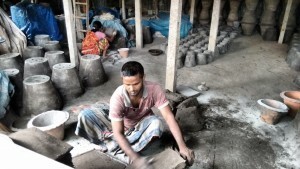 Dhamrai (ধামরাই) Pottery Industry is one of the renowned pottery industries in Bangladesh. There are several pottery villages in Dhamrai. Such as Kagozi Para (Pathantola), Shimulia Paal Para, Kakran & Notun Bondor Paal Para etc. This Sultani Mosque looks a bit old fashioned and the Minaret of the mosque is designed flamboyantly. 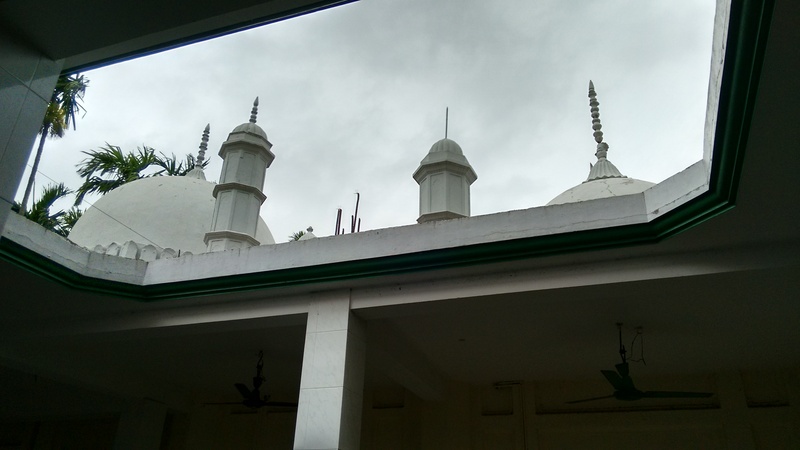 The minaret consist of small white colored marble stones. The mosque has around 6 domes at the top of it. All of them are white colored. 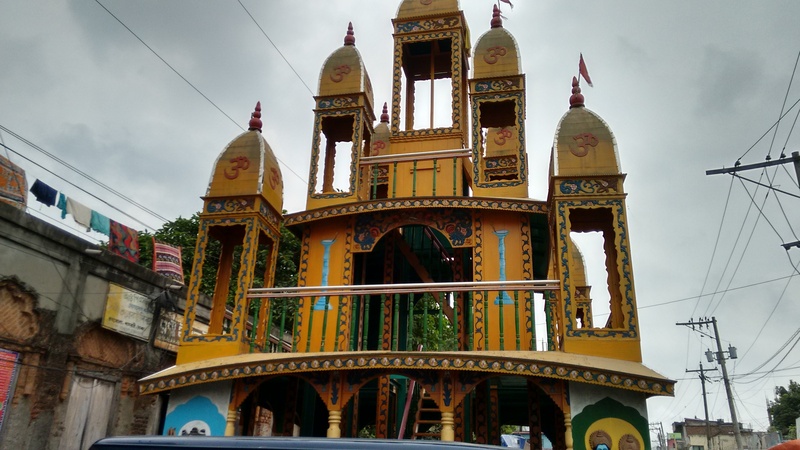 Dhamrai Jagannath Roth (ধামরাই জগন্নাথ রথ) is a chariot temple, Dhamrai Rath Yatra is dedicated to the Hindu God Jagannath located in Dhamrai Upazila of Dhaka District. The annual Jagannath Roth Jatra is a famous Hindu festival attracting thousands of people. 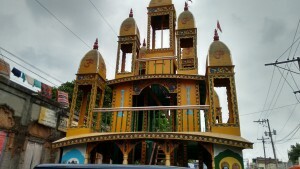 Dhamrai Rath Yatra is one of the most important event for the Hindu community of Bangladesh. 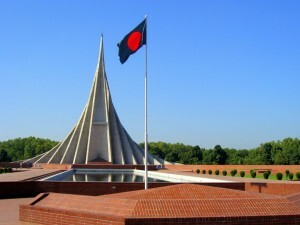 On the way back to Dhaka you’ll visit National Martyrs Monument in Savar which was built to pay tribute to the people who was killed during the liberation war of Bangladesh in 1971. This is a tour where you can learn about the traditional life of Bangladeshi people and history of this country. 08.00 – 09.30 AM: We will meet you at your hotel or home (inside of Dhaka) to pick you up, and will start driving toward Dhamrai (40km) immediately. 9.30 – 10.30 AM: After reaching at Nayarhat Bazar of Dhamrai we will leave the car and sail for the village Kakran by a traditional boat. Our boat will move slowly for enjoying the sights of Nature. During the time of boat Journey, we will provide you a light breakfast. 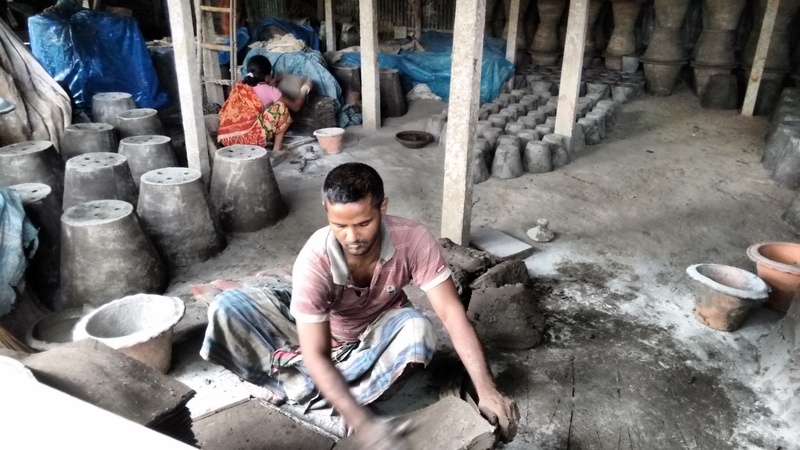 10.30 – 11.45 AM: For generations, Dhamrai has been the house of crafts like pottery making. But these traditional occupations are now in danger as those could not compete with modernization in course of time. Once Dhamrai used to be a whole craft village but now other occupations have come into being reducing the handicraft based jobs. Enjoy the whole process of pottery making. You may also take the pictures with the artisan. 12.00 – 12.30 PM: Back to Nayarhat Bazar by boat. Drive toward Nabinagar. 12.30 – 01.45 PM: Lunch and tea break at a local restaurant in Nabinagar . 01.45 – 03.30 PM: Driving towards Dhamrai Bazar from Nabinagar and experience the essence of amazing status and crockeries with bronze in lost-wax technique. In different areas of Bangladesh this products could be found. But there at the bazar we will take you to the workshop to know the people and their way of making this unique products. It’s a perfect place to buy some souvenir made of brass in cheap rate. They make amazing little things here perfect for souvenir. 03.30 – 03.45 PM: Snacks & Tea break. 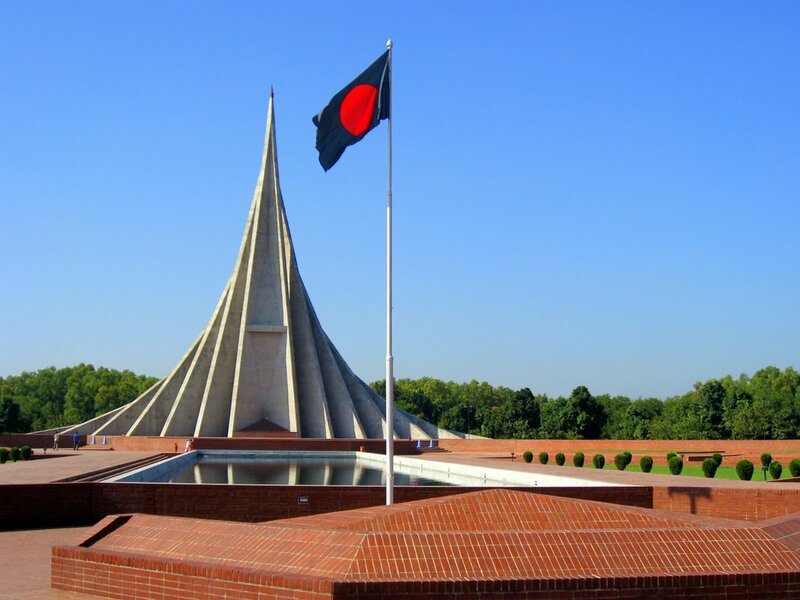 03.45 – 05.00PM: Our car will bring you at National Martyrs Monument in Savar which is absolutely out of Dhamrai Upazila. But, as we will come across through the road of this monument that’s why we will pay a visit there for around 30 minutes. 5.00-6.00 PM: We will start journey toward Dhaka from Savar and it may take a little more time upon the condition of road.